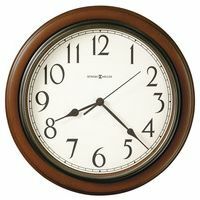 This is an Unusual Gilbert banjo style wall clock. 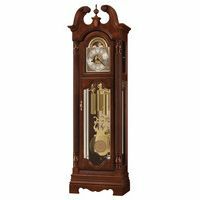 It dates from the early 1900s and is in great running and chiming condition. 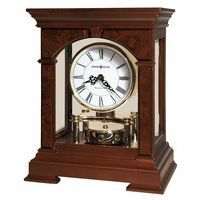 This clock does work with a pendulum swinging back and forth with a nice sounding tic. You can see the pendulum swinging side to side when open the bottom door. It chimes the hours and half hour on a very nice toned gong. The original silvered dial is in great condition as you can see in the pictures. Also, the original glass of a sailing ship is in perfect condition with no chipping or losses. The wood side arms on the case do have some loss of paint as you can see in the pictures, thios could be touched up or left as is showing its age.The unusual part of the clock is the case which still retains its original decorations which are very elaborate. The case is 30 inches tall, 9.5 inchs wide with a 5 inch dial.